Weight: 7.50 g., 28 mm. Bandon, Kinsale, Youghal and Cork Siege Money 1645 - 1647. These four Munster towns held out from the start of the rebellion against the armies of the Confederated Catholics, whose headquarters were in the south-eastern town of Kilkenny. Each town issued coins of its own while occupied by the Parliamentary troops, and each piece has the town's initial letter upon it. Cork Confederated Catholics Siege Halfpenny. 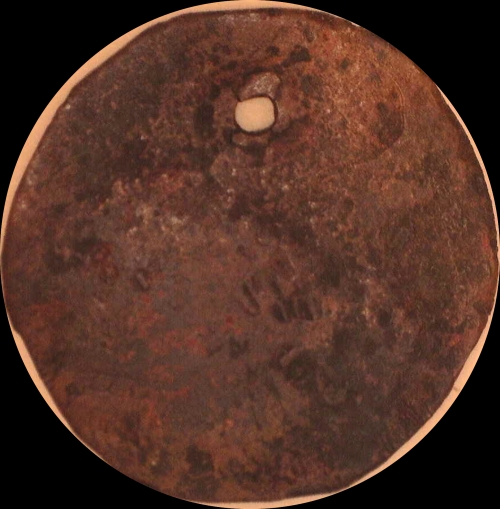 A worn slick unknown pierced copper coin countermarked CORK in a round circle of raised dots on an incuse 13 x 13 mm. square punched field, 7.50 g., 28 mm. Spink 6562B. 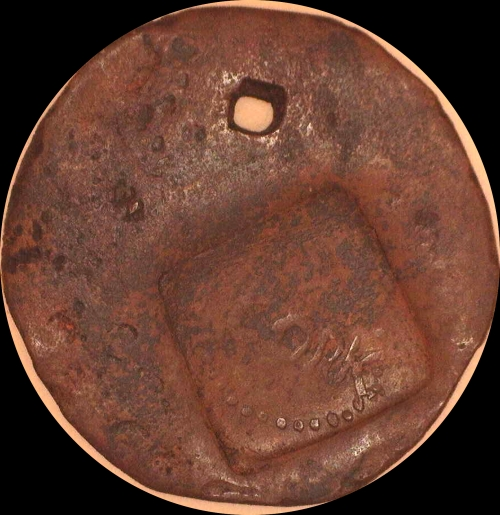 The Spink listing is inclusive of various style Cork countermarks on various foreign coins, all quite rare. The style of the letters forming CORK is not exactly, but of similar convincing style, to be of the same period of origin, as that of Nelson's Cork Farthing, Pl 2, No. 7, "The Coinage of Ireland in Copper, Tin, and Pewter," in the British Numismatic Journal, vol I, 1903, there being a wobbly O, and and a distinctive K.
Good Very Fine. Net $4250.